We are seeking another Southeast Area Director! Contact Allison for more info. We are so glad you are MSLA members. In 2015/2016 we met socially, met to talk about DDMs and the evaluation process, had a joint session with MLS on ways to engage readers, had a field trip with the MassCUE MakerSpace SIG and hosted a legislative breakfast. Check out what we're up to this coming year! Please reach out to us anytime with questions or suggestions for local professional development. 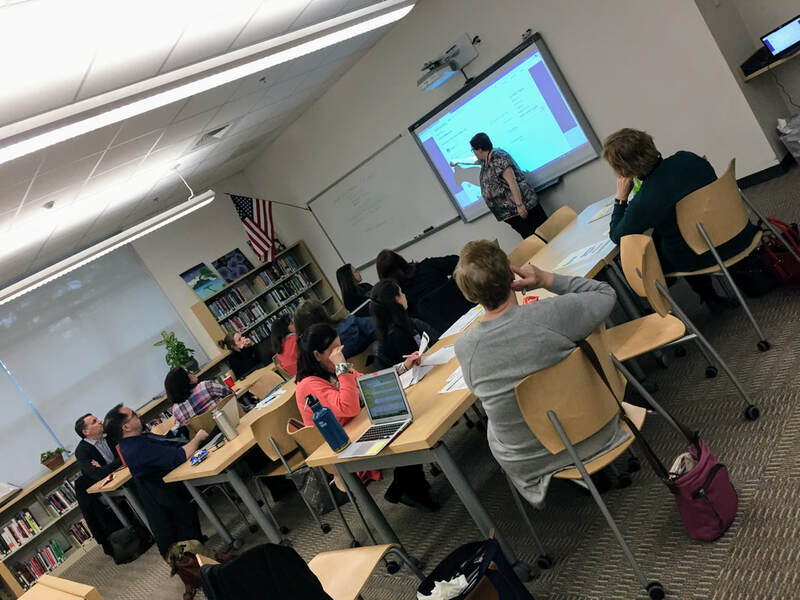 Stacey Knibloe, a Gale trainer from MLS, gave us another fantastic refresher about the Gale Databases available to us as Massachusetts school librarians. She also walked us through the new March updates and changes, and a new way to view our database statistics. Thank you so much for hosting, Jen and Sharon! Stacey Knibloe, a Gale trainer from MLS, gave a fantastic refresher about the Gale Databases available to us as Massachusetts school librarians. She also walked us through the updates and new changes that were made during the summer and ways to find similar information on databases no longer available to us. Thank you so much for hosting, Linda! 19 of us gathered to learn about the state Ebook collection from Tricia London from Avon Middle High School and Steve Spohn from MLS. Thank you so much for hosting, Tricia! Superintendent Dr. Patty Oakley shared why and how to build a social presence for your library through the use of Facebook and Twitter. Thank you for hosting, Jen Thomas! Steve Spohn from MLS will share the ins and outs of the state eBook system. Thank you for hosting, Melinda Adams! We will take a field trip to Sharon High School's MakerSpace with the MassCUE MakerSpace SIG. This is the same day as Library Legislative Day; why not do both and have a super library day! Thanks for hosting, Cathy Collins! Visit the Awards page for more information on each award or to nominate someone.